Washington, DC – January 11, 2012 – (RealEstateRama) — Realtors® have always been active in their communities, and thanks to REALTOR® Magazine’s Good Neighbor Society, they can become even bigger assets to those in need through the Volunteering Works program. The program, which matches Realtors® who would like to expand their community service outreach with a mentor, is now seeking entries. This marks the fourth year the Good Neighbor Society will award five applicants a year of one-on-one mentoring from a member of the Good Neighbor Society and a $1,000 grant as seed money to help implement improvements to their community program. The Good Neighbor Society is comprised of past recipients of REALTOR® Magazine’s Good Neighbor Award. Recipients will be selected based on their dedication to the community through volunteer work and the potential for their work to be expanded or improved. Ideal candidates have been active in charity work, can identify specific challenges they would like to address with the help of a mentor, and have specific goals for the future of their community service project. Applicants must be NAR members. The REALTOR® Magazine Good Neighbor Award winners who mentor the Volunteering Works recipients spend an average of more than 20 hours a week on volunteerism and have built and led some of the most effective charitable organizations in the country. Since 2000, more than 120 Realtors® have won or received honorable mentions of the Good Neighbor Award. Volunteering Works is funded by The Stuart & Jill Siegel Charitable Foundation. For a Volunteering Works entry form, go to www.Realtor.org/gna and click on “Volunteering Works.” The entry deadline is Feb. 24, 2012. Recipients will be notified in April. The National Association of Realtors®, “The Voice for Real Estate,” is America’s largest trade association, representing 1.1 million members involved in all aspects of the residential and commercial real estate industries. Information about NAR is available at www.realtor.org. This and other news releases are posted in the News Media section. With more than 1.3 million members, the National Association of REALTORS (NAR) is the voice for real estate. 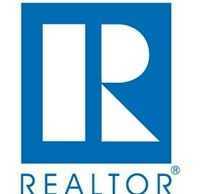 Visit REALTOR.org to see how our real estate resources can benefit you. REALTOR® magazine (http://www.realtor.org/realtormag) is the official magazine of the NATIONAL ASSOCIATION OF REALTORS® and the business tool for real estate professionals. The magazine advances real estate best practices, brings expert insight to significant trends, and provides REALTORS® with timely decision-making tools on business purchases and strategies. The National Association of REALTORS® is America's largest trade association, representing 1.3 million members, including NAR's institutes, societies, and councils.